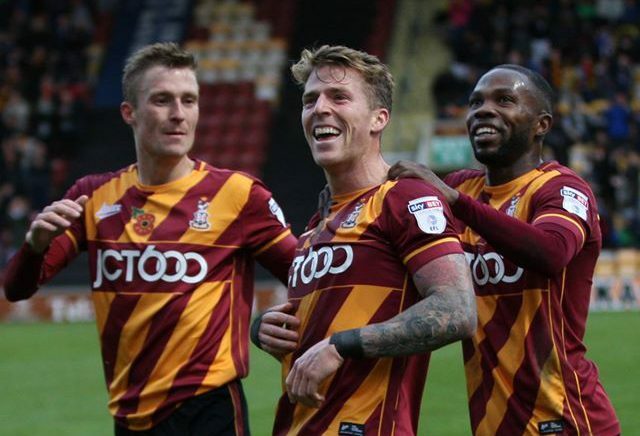 If the public consciousness remembers 2016 as an annus horribilis, take reassurance in the fact that Bradford City have somehow emerged from the rapids not only miraculously unscathed, but stronger in spite of a summer to which ‘upheaval’ probably doesn’t do justice. June saw our worst nightmare realised, right out the blue. The appointment of Stuart McCall brought interest, but, healthily, none of the emotional intensity his first spell triggered – nine years had elapsed, and both club and manager had done a whole lot of learning in that time. On the surface, things went full circle; in reality, it was anything but. Two new owners, nine summer signings, and a fanbase genuinely not knowing what to expect. That expectations were probably lowered (or maybe not ‘lowered’, so much as ‘altered to align with Rahic’s less immediate outlook’) might feel a little insulting in light of recent events, but it probably underscores the realism with which everyone is approaching the task this time around. 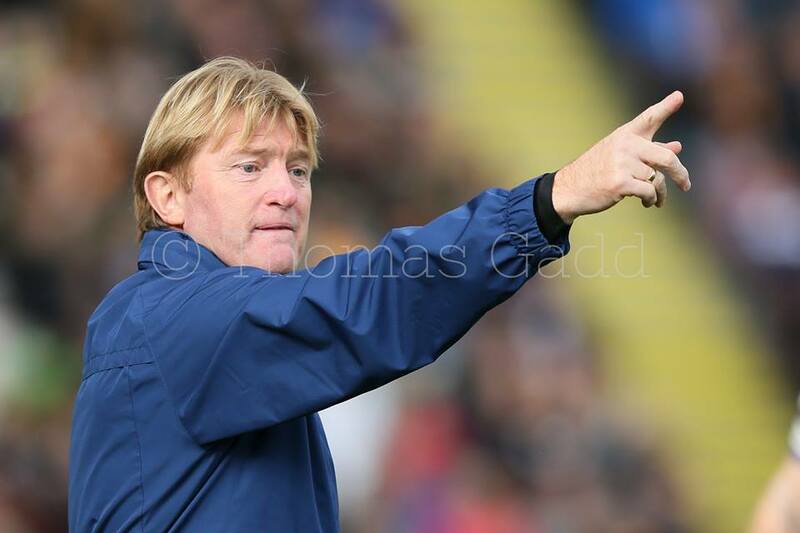 Stuart McCall is still a Valley Parade hero – heck, he’s my life hero and his playing career was before my time – but the mood is controlled, tempered and muted compared to the emotional intensity that ruled his first managerial spell. McCall is understandably keen to quell the steadily bubbling hype around this team; the late and sudden collapse of his 2008/09 side grows ever distant but the lessons nonetheless remain raw, for all his current charges are armed with greater grit and steel. At this point, though, it would be a surprise were they to keel over. The table below shows the average number of goals conceded and scored for top six League One teams over the last six seasons. It’s worth noting that runaway teams can skew these figures slightly – MK Dons scored 101 times in 2014/15, knocking the rest of the top six out of the ball park – but, as City are second, it’s worth putting all six into the average. As expected, City are comfortably there, defensively. What’s more striking, in view of the constant calls for a goalscorer that soundtracked pre-season, is that McCall’s men are on track to deliver 15 more goals than Parkinson did in the last two years (55 both times), with essentially the same two core forwards. This side have hit ten in their last three league games using Clarke and Hanson, albeit twice with Jordy Hiwula. And as much as Hiwula has come on leaps and bounds in recent weeks, marrying a striker’s instinct with a more disciplined reading of the game to create runs that yield openings, you’re inclined to look more to the men slightly behind Clarke when attributing praise for the sudden success of this strikeforce. “The way the gaffer wants us to play in terms of our freedom allows us to do that, but that sort of rotation – it doesn’t come from the tactical,” he said. “It comes from the players.” No one needs to tell Dieng to drop wide to marshal the space Law leaves behind – intuitively, he just knows. For the ex-pats who haven’t seen City this season, you really cannot undersell how much of a joy it is to watch them attack the Kop. There was a moment on Saturday when Billy Clarke, being fended off by Rochdale’s jockeying Keith Keane, could have turned and played the simple ball to Meredith, rushing behind him. Instead, he dropped his shoulder, shrugged off Keane, wove inwards and fed Nicky Law on the edge of the six-yard box before his opponent had even had time to blink. McCall has managed to do what Parkinson never did, and make Hanson and Clarke work as a pairing, purely because he realised principally that you’ll never get the best out of a player like Clarke if you prioritise rigidity. All of which begs the question: which came first for Parkinson? Did he intentionally build his teams around their anticipated attacking deficiencies? Does that explain the reliance – almost over-reliance – on set pieces? The urgency behind constructing such an insistently impenetrable defence? Keep things tight at the back end and it masks what they lack up top? Not that a rock solid backline is ever a bad thing, but did it maybe become a little more urgent, a little more important, to get that defence right? Or was Parkinson’s style, as successful as it was, actually the ultimate inhibitor? Did their problems stem from the conservativism of the right hand side, of the distance of Josh Cullen and Lee Evans when both sat a little deeper? You’re always going to have stars, and you still question whether Hanson, Clarke and Hiwula are goalscorers by nature in the same way Nahki Wells was, but City, importantly, have got here without leaning on a Matty Taylor, a Josh Morris, a Lee Gregory – without a Billy Sharp to single-handedly raise their ceiling. 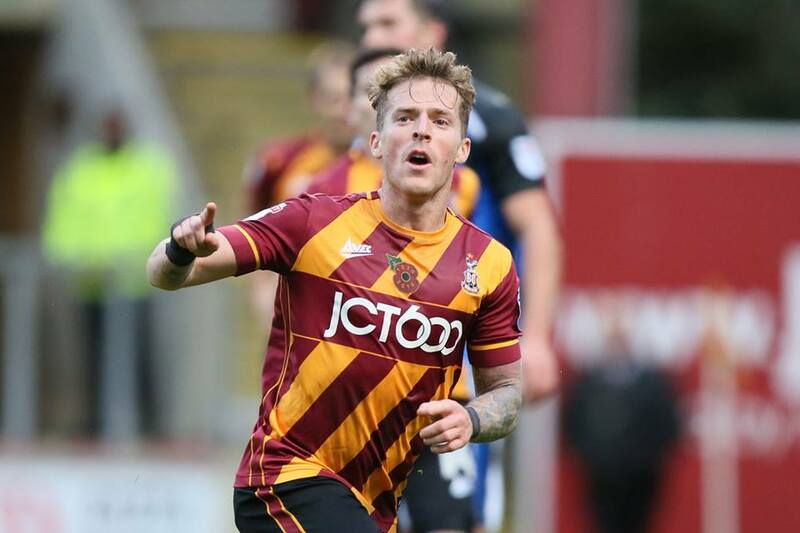 A good manager knows how to get the best out of what he has, and that Clarke’s peak years are now coinciding with a system relying on fluidity could be a real lightning in a bottle moment for Bradford City. At this point, City at least have the components of a top six side. At the end of the day, goal difference offers an indication of where a team will finish, but ultimately the final column remains the most important one. In 2012/13, Swindon conceded 39 times and scored 72, giving them the best goal difference by a long way, but fell short in the play-offs, finishing in the position that no one ever goes up from. Note also that the average number of goals the top six scored last season was so low because Bradford and Burton dragged the average down – City netted 55 times, Burton 57; City conceded 40 times, Burton 37. The pair made up the two best defences in the top six by a distance, but, equally, comprised the two worst attacks by a distance. The year before, City missing out in seventh, saw them addled with similar troubles, 55 goals conceded putting them within touching distance defensively, but well short with only 55 goals scored, as their inability to use Aaron McLean became a growing issue. The defence has never been an issue for City, and the past year, when they hit upon two able replacements for Davies in Nathan Clarke and Reece Burke, only reinforced that. They’re doing it again this year, and with a backline missing Rory McArdle. “My job is to make myself redundant,” England’s rugby union coach Eddie Jones said after his side’s victory over South Africa last week, discussing improving players’ problem-solving skills in a manner probably not too dissimilar to what’s being borne out at Valley Parade this season. I’ve talked before about how the intelligence of Law and Timothee Dieng in particular has been key in instigating the in-game changes that keep City ticking while never compromising defensive security, and Billy Clarke will doubtless thrive in a system in which instinct and vision overrule pragmatism and a latent tactical discipline. Parkinson’s pragmatism worked – and it’s still working down the road – but the solution to the striking problem that dogged his last year here suddenly feels so obvious now McCall has hit upon it through his wholesale change in approach. At a time when Mourinho’s pragmatism feels increasingly misplaced and jaded amongst the expansiveness of the Klopps, Guardiolas and Contes of this world, maybe that feels timely. This side lead with freedom, and impressive stats are, this time, being backed up with an even more impressive style. There was a moment ten minutes from time on Saturday, as Cullen span another weaving ball into the path of the prowling Nicky Law, Rochdale resigned and City shielding their 4-0 lead with a guarded nonchalance akin to the final five of a five-a-side game, when the Kop lurched into The Great Escape. Maybe that was nothing new. We’ve heard it hundreds of times. They even wheeled out the We don’t care about Huddersfield one last week, that’s how far we delved into the back catalogue. But, for me, it felt particularly symbolic – because I remember the first time I ever heard it. I was ten, in my first year as a season ticket holder, and City were losing 3-0 at home to Accrington Stanley. No disrespect to Accrington Stanley – they persistently keep it real, to the point you get the vibe that they’ll be the last ones flicking the Vs at the Premier League when money engulfs even League Two 50 years from now – but that felt like a real watershed moment for City, as a club and fanbase. Even as a kid – I could feel the shift in mood, in outlook, that that defeat triggered in the season. Welcome to League Two. All the romance, the hyperbole, the ego, disappeared seemingly overnight in one of the biggest shocks of the season. And as the humiliation washed over everyone, the Kop broke into that song, unrelentingly, for the final half hour of what was, at that point, the lowest moment of the campaign. McCall dubbed it a “disastrous night”, apologising to the fans afterwards. All the while, that era was lived in emotional extremities that still feel painfully vivid. For all the expectation that characterised the Parkinson era and the public opinion that swung like a pendulum throughout his more testing periods, it was ‘steady as she goes’ territory where the heart was concerned, and one of Parkinson’s strengths was that he never blamed himself as drastically, almost dangerously, as McCall did. And amidst all this, I was a kid. I was twelve when Peter Taylor came. I struggled to get a handle on the fleeting, muddled dalliance with Peter Jackson that rendered McCall’s tenure comparatively successful; I knew only that City were the club without a compass, formidable but unanchored, flailing through waters growing still murkier. Still, McCall’s tenure became a particularly foundational period for my understanding of what it meant to be a Bradford City supporter. Shamefully, I’m only here because under 11s went in for free that season. And McCall’s principles, if just a little misdirected, were spot on in essence, clubs and fans sustaining each other again and again. The discourse around the club now always pings back to the word ‘infrastructure’, and the current climate throws into chilling focus the true nature of what McCall was grappling with almost ten years ago. Wayne Jacobs recalled this month how the club would try tempting fitness coaches to work for free, with the promise of a free season ticket in exchange for their services. Truthfully, their hands were tied – two years before, there almost hadn’t been a club. I’ve maintained from the outset this season that it doesn’t feel like McCall’s here to overwrite anything. It feels like a separate mission this time round, severed entirely from the freight of whatever came before. And that distance is in evidence again and again, and in all the right places. McCall told Simon Parker this week that he’s learned to pick his battles, and not to waste time justifying his selection to those not in the team – his door, still, remains open. The climate of respect behind the scenes is obvious, and it’s striking how highly his players repeatedly speak about McCall’s methods in public. If this is a do-over for McCall, it’s obvious now that he acts aside from sentimentality. He is a good, good guy – and maybe this is the first time he’s having a truly fair crack at the whip and showing what he can do, aside from the inevitable and unavoidable constraints of his first tenure. Nine years is pretty much half a lifetime, for me – and McCall, for now, is repeatedly showing the wisdom he has garnered in the intervening decade. Katy – you are an outstanding writer. I too was unsure about Stuart returning for a second spell but we were all too ready to judge him on his previous tenure. The apprentice has now become the master. What a superb piece. I had no idea how young you were, Katie. I always find it funny how the era we grew up in determines our expectations of a football club. I was born in 1987 and my Dad took me to City from a very early age so my earliest experiences (that resonated or struck a chord) were the Kamara playoff season and beating Everton in the cup, Chris Waddle et al. I always felt like we were capable of amazing things on our day and nothing was out of reach, you must have felt like there was no hope with Barry Conlon as one of your earliest experiences! Outstanding piece.You will get many more chances to write glowingly this year.I worried about defence without Reece.Stuart and Abbo have found diamonds throughout with competition high to keep all hungry.It”s early days but I see them staying the course as they all can play. Excellent article Katie, well done! We are certainly playing with freedom this season. I watched the goals from the Rochdale game last night on Football on 5, on catch up. As I said to a supporter next to me at the Rochdale game, the link up play between Meredith and Law for our first goal was superb and it was a joy to watch this again last night. Due to the sad event this week of Bobby Campbell passing away (I never saw him play in the claret and amber as my first Bradford City game was in 1988), it will be interesting to hear how Stuart McCall is coping with the loss of his friend. Naturally, he will be devastated so I wonder if his management team including Kenny Black are taking on extra duties in the lead up to the Southend United away game? Or will Stuart be adopting the approach that Bobby would have wanted life, especially in the footballing world, to carry on as normal? Either way, in such sad times, the joy of football can take away some of the pain. A very well written article from a very articulate writer, who can definitely master the English language a great read well done and agree with everything you have said. Well done. Your report writing is excellent Katie and a joy to read. In the past there was a sense when something special was about to happen and I am getting that sense now with this management team and players. We may or may not get promotion this year but with the current set up it surely is only a matter of time before things really start to take off. Lets enjoy the ride. We’ve lost a legend this week but we have another legend at the helm which will make the ride all the more enjoyable. Another great read. Thank you, Katie.